Ipcowala Institute of Engineering & Technology, Anand was established in the year 2011 to prepare their students for leadership in their profession and society and provide pre-eminent educational experiences. It offers diploma (Mechanical and Civil engineering) and graduation courses in various disciplines such as Automobile, Civil, Computer, Mechanical, and Electrical engineering. It also offers post-graduation programs in Mechanical and Computer engineering. Institute’s placement cell plays a vital role in networking graduated students with the top companies in India. Leading companies participate in recruiting talented students. 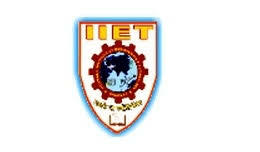 Are you Interested in Ipcowala Institute of Engineering & Technology.